Update on this post: AdvoConnection is launched! 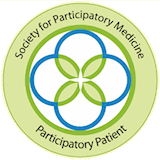 Patients are being helped, and patient advocates are ready to help you. Learn more at: www.AdvoConnection.com. Hard at work we’ve been! And AdvoConnection, a dream of mine for several years, is getting ready to launch. They cannot get an accurate diagnosis, know they need treatment, and need someone to help them find the doctors, or get the tests, that can help them. They are seeing too many specialists who aren’t coordinating their care. They need someone who will take a look at their reams of medical records to help them sort out their treatment. They are having trouble with their insurer, who isn’t paying as promised, or who is denying them care. They have received doctor or hospital bills that they can’t sort out or decipher. Or they believe they have been billed for services they did not receive. They’ve read that up to 80% of hospital bills are incorrect, and they want someone to help them negotiate with whomever has billed them. I hear frequently from adult children of elderly parents, perhaps living in a different location, who need assistance for their parents, either to help them find a nursing home, or for eldercare or home health care. The biggest heartbreakers are the parents who have run into brick walls trying to help their children. Or the left-behind person who lost a loved one to a medical error. They need to know who to turn to — an advocate? a lawyer? to get the support they need. Now you can see why I wanted to develop AdvoConnection. It is a service for matching patients to the help they need in the form of patient advocates, patient navigators, billing assistance and other forms of medical system assistance that will help them navigate the waters of our dysfunctional health care system. AdvoConnection for Patients — www. AdvoConnection.com — will launch October 1. Patients will be able to search for an advocate or navigator by location and service provided — at no cost to them. They will have the information they need to contact that advocate to inquire more about their services. It’s a directory type service that will help patients and caregivers find the help they need. AdvoConnection for Advocates — http://members.AdvoConnection.com — provides advocates and navigators will the interface to be a part of the directory for patients described above. It also provides additional business services such as marketing assistance, and a forum for connecting with other advocates. By early 2010, it will also provide them with access to an ask-a-doctor service, and other services they may seek to help them grow their advocacy businesses. Patient advocacy is considered by US News and World Report, Entrepreneur Magazine and others as one of the fastest growing careers that exists in the United States today. 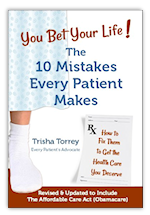 You are right – many physicians are good advocates, but with too little time with patients, they can’t possible cover all the bases, nor be sure that their patients are safe and are receiving the best care possible. You’ve stated that many advocates charge huge hourly fees — which is not the experience I have had at all. Most of the advocates listed at AdvoConnection.com are priced very fairly. I think you’d be surprised. Although, it does beg the question – what is the price on improved and safer healthcare? You state that most advocates fees are priced fairly. I’m kind of curious, you seem not to like the middle man in health insurance. Yet, you are charging health advocates to be listed on your site. How does that reduce the cost of health care? I have no objection to “middle men” in health insurance. I do object to outrageous administrative expenses that too many private insurers over-inflate while gouging their insurance customers, however. As for AdvoConnection, being listed on the site is only one service offered to Advocates. The additional services are listed above. That covers the cost of building the site, maintaining it, and providing the services (ask a doc, marketing advice, forum and others). It is also a way to make sure we have professionals applying for membership, and not unpaid volunteers. There is NO CHARGE to patients to access the information. 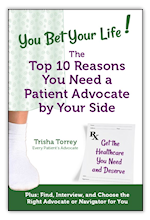 I just started doing some online research about becoming a private patient advocate. I would like to provide services whereby I accompany patients to appointments, help patients understand the medical mumbo jumbo they here from some health care professionals, and educate patients about their diseases and treatment options. I see there is some talk about prices for advocates. Could you give me a ball park figure of what private advocates charge for services like the ones I have described? I am just interested in seeing if the business is even a profitable idea.